Quality Interiors first opened its doors in San Diego in 1929, and has been owned and operated by Arthur Jones and Family since 1969. We specialize in soft goods like furniture upholstery, draperies, cushions as well as patio furniture strapping, slings, and teak furniture. Our main focus is providing you with the best product and service we possibly can. Every item we make is created by hand by our skilled craftsmen and craftswomen, one at a time. Custom upholstery is not done in a factory, it is done piece by piece right here in our local workroom. We have been in business since 1979 in North San Diego , We are a full service furniture upholstery shop that does upholstery, slipcovers, patio cushions , window seat cushions , repairs , new foam replacement , pillows , upholstered headboards and beds, and we have a large fabric sample showroom. Our name is Furniture Build & Renew, formerly known as Prestige Furniture. and we’re a furniture upholstery and restoration business located in National City, CA. We have over 30 years of experience in the industry and offer nothing but professional work that is 100% guaranteed to be the best quality in San Diego. Our understanding of how leather is processed at the tannery, and the chemical engineering process, means we have a deep understanding of leather and all of its variations. This knowledge allows us look at each individual leather piece and determine how that type of leather was processed. We can then recreate the color, variation effect and suppleness during the restoration procedure. This ability to adapt our techniques while using quality products ensures we produce personalized, exceptional service. Our technicians are trained and certified by the industry’s leading company, Advanced Leather Solutions, who have been creating the highest quality restoration system, procedures and products for over 27 years. 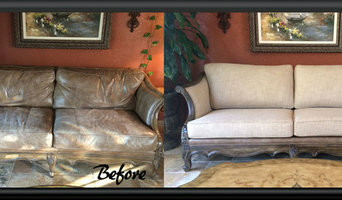 San Diego Leather Restoration uses these procedures and products exclusively for superior results. We are a family owned and operated business, since 1995. 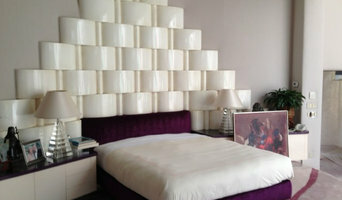 We specialize in upholstery of furniture, including sofas, chairs, ottomans, headboards, indoor and outdoor furniture. We also carry foam and fill, to re-stuff cushions. We make new furniture, as well as reupholster old furniture. Please contact us for your free estimate. Franco’s Upholstery has been constructing, renewing and restoring furniture since 1978. Our experience means that we can build or restore your favorite family heirloom, or create a new piece of custom furniture to meet your specific needs. 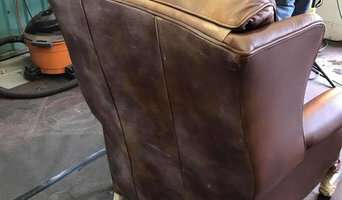 Our skilled upholsterers and craftsmen are experienced |n custom made furniture, custom auto and marine upholstery, outdoor furniture and cushions, decorative pillows, convertible tops, caning, wood finishing, and comprehensive restoration techniques. We have an extensive inventory of fabrics to choose from, including Sumbrella, Duck, pre-washed denim, Microfiber, Microsuede, leather and marine vinyl. Established in 2012, Bodhi Designs was created to meet the needs of the contract, hospitality and retail sectors within the furniture industry. Bodhi Designs creates high quality and luxury upholstery for custom design requirements for hotels, interior designers, and boutique retailers. Craftsmanship and comfort are the foremost values of Bodhi Designs. Diseño de interiores para espacios pequeños y restauración de muebles antiguos. Need your living room furniture recovered? Perhaps a slipcover to protect against your pets? We have you covered! V Squared Upholstery provides the finest quality in furniture repairs & restoration. With over 30 years of experience we have mastered the most cost effective techniques that are guaranteed to get the job done right. Whether it’s a small frame repair or a complete rebuild of a sofa support system, our work is backed by a 5 Year Guarantee. Re-upholstery/upholstery repair includes redoing/outfitting items like chairs and sofas with springs, padding and fabric coverings. This can also include adding fringe, piping, tufting or additional decorative elements to a furniture piece. They can also advise you about the pros and cons of different fabrics so you can choose the best type for the project in your San Diego home. Find San Diego furniture repair professionals on Houzz. Narrow your search in the Professionals section of the website to San Diego, CA furniture repair.